Taking the popular theme of North American wildlife and adding some interesting features to it has made Timberwolf Legends a hit for pokie developer Aristocrat. Some people may be a bit fed up of the whole idea of a Poker machine where wolves, bears and deer populate the reels yet again, but they shouldn’t ignore this one, as it comes from a trusted supplier and is complete with wild symbols, free spins with multipliers and a Deluxe version that adds an extra twist to the bonus games. A backdrop of snow-covered hills and trees in a night time setting is typical of pokies with this sort of theme, but it looks good and contrasts with the somewhat plain reels very well. Players will notice that this game uses the Xtra Reel Power format, which sees symbols arranged in 4 rows, where winning combinations come from 3, 4 or 5 of the same type stopping in an unbroken line of reels running from the left side, where their position on each isn’t important. It gives a grand total of 1,024 different ways to line up a win, while players can opt to activate just 3 reels for a smaller stake if they want to, although this obviously means that landing lines of 4 or 5 symbols is ruled out, so most choose to play all positions. The standard playing card symbols 9, 10, J, Q, K and A are all prominently featured in this game, making up the lower value and consequently more common winning lines, while bigger wins come from the snow-covered ranch house, and various animals that give Timberwolf Legends its style. The Moon is a wild symbol and when it lands in the right places it will help to complete winning lines by acting as any other symbol, including the bonus one. The wild will only appear on reels 2 and 4 though, so it can’t make up a winning line on its own, but it will still be very useful when for example, matching symbols are on reels 1 and 3, with the wild on 2 and 4. If this combination lands, players will be paid out as if the symbol had been across 4 reels, while to bring in even more rewards, an owl is the bonus symbol and whenever 3 or more appear, a free spins game is triggered. How the spins work depends on whether the Deluxe or standard versions of Timberwolf Legends are being played. In the standard version, players are awarded 12 free spins with a multiplier of 2x on lines completed by a wild on reel 2 and 5x if the wild was on reels 2 and 4. 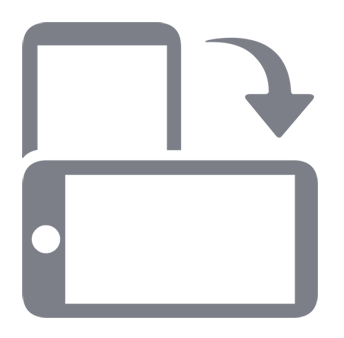 Any reel that contains a wild symbol, whether or not it results in a win, will be held in place while players get to respin the remaining ones for free, which gives them another opportunity for a prize. 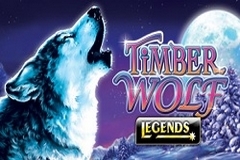 Timberwolf Legends Deluxe sees players given a choice of the number of free spins that they want and a wild multiplier that they want to go with them. The options are for 21 free spins and wild multipliers of 2x on reel 2 and 4x on reel 4, 16 spins with multipliers of 2x or 5x, while the third choice is for 12 free games and 3x or 6x multipliers. Next is an option for 8 free spins, where wild wins are multiplied by 4x or 8x and the final option sees just 6 free games play out, but the multipliers are 5x or 10x. Whichever game is chosen and whichever version of Timberwolf Legends is played, landing the owl in 3 or more spots again will retrigger the games, with the new ones added to the end of any still left in the current round. So, the theme may be a little un-original, but at least Aristocrat have developed it with their customary attention to detail and supplied Timberwolf Legends with some interesting bonus features. Something else un-original is the use of playing card symbols to make up the lower value winning lines, and this game seems to have more of them across the reels than many others. The advantage of this is that it makes this a low volatility pokie where players should see frequent wins, rather than having to wait ages before the right symbols line up, even though the prizes can be bigger when they do so. Anyone who likes the looks and wants to try a reliable pokie from one of the top developers should be able to hunt down Timberwolf Legends, in both versions, at their nearest casinos.